For the first time we have a Tales of Symphonia fan art here, made by Anokazue from Malaysia who participated in our Link’s Blacklist before with an amazing artwork already. 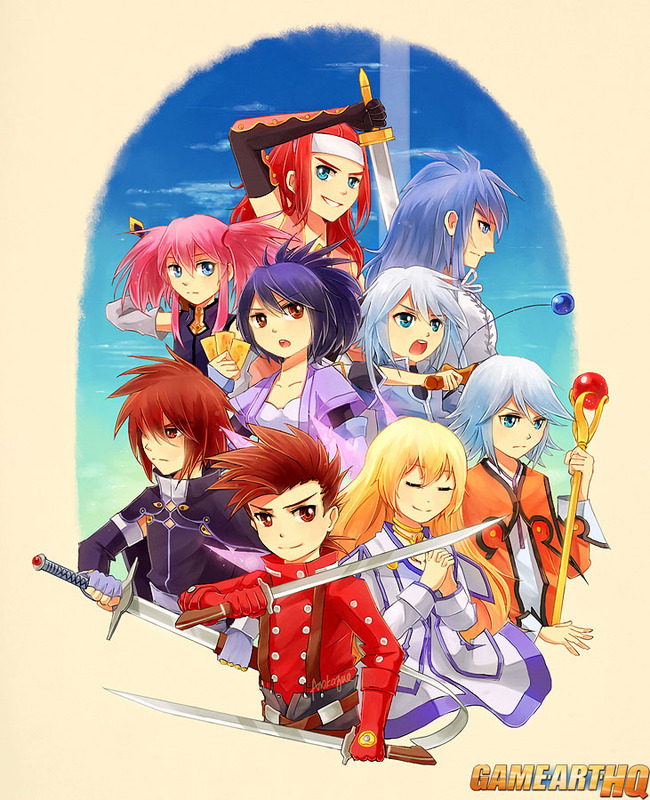 Tales of Symphonia is a role playing game for the Nintendo Gamecube..which made it quite special already since the GC got almost no RPG’s ..it was released for the Playstation 2 also, but sadly only in Japan. I never played ToS yet but reviews and gamers say its excellent..as someone who loved Tales of the Abyss for PS2 i guess its something i need to try out sooner or later …if art like this gets drawn there must be something great about it!